UNCF-member institution Johnson C. Smith Univ. UNCF offers several national and regional scholarships that close in April. Apply today! UNCF is offering great scholarship opportunities this month! Check out these UNCF scholarships and internships currently open for applications, and complete your application before the deadlines. Look at some of the opportunities UNCF offers high school and college students that can help them get to and through college. Visit UNCF.org/Scholarships any time to see what is open. The program offers financial assistance to students at UNCF-member institutions, who are accepted into recognized summer study abroad programs. The program offers up to $6,500. Closes April 4. The program is designed to assist a Tarrant High School student attending a university in Alabama, Florida, Georgia, Mississippi or Tennessee. Closes April 5. The program will provide internship opportunities during the summer of 2019 for qualified students based on specific eligibility requirements, area of study and GPA, across 14 states. Closes April 9. 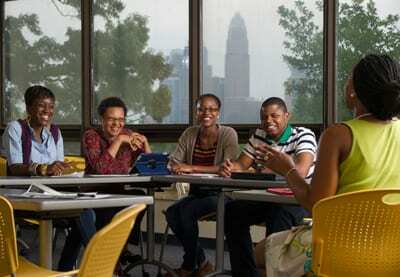 The scholarship is open to high school seniors, who are permanent residents of Montgomery County, OH and who are planning to attend an HBCU or any other accredited college or university. Closes May 3. The scholarship is for Computer Science majors or graduate students who meet the criteria. Closes May 17. This needs-based program is open to permanent residents of the metropolitan Las Vegas region. Closes May 17. 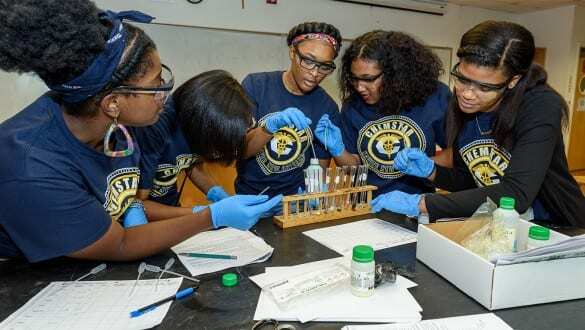 The program provides a renewable scholarship to graduating high school seniors attending a high school in Mecklenburg County, North Carolina, who plan to major in and pursue a career in the STEM field. Closes May 24. Foot Locker Foundation, Inc. has partnered with UNCF to fund this scholarship program for students attending a UNCF-member institution during the fall of 2019. All undergraduate classifications will be considered. Closes May 31.